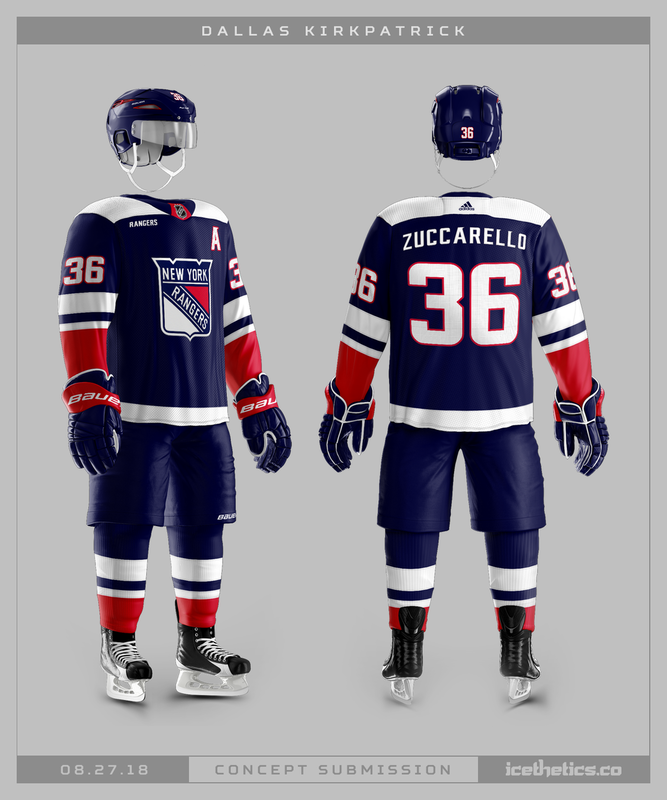 For a brief time in the mid-1970s, the Rangers wore their shield emblem on the front of the sweater. For the rest of their existence, it's been the diagonal text we know and love. But Dallas Kirkpatrick still thinks the shield is worth a shot. Do you?